This creamy formula glides on smoothly for clean, crisp lines, but can be smudged or blended for softer or smoky looks. 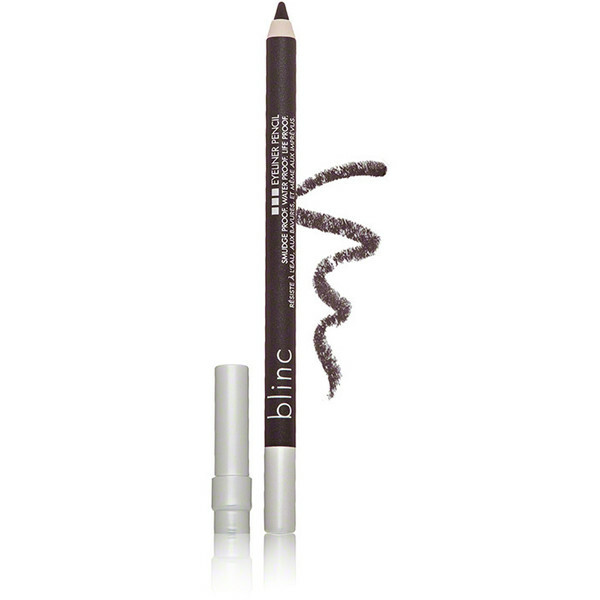 Blinc eyeliner pencil can be removed with any gentle makeup remover. In addition to the superior staying power and versatility, we’ve loaded blinc eyeliner pencil’s formula with antioxidants and vitamins to help firm and condition skin while you wear it! The following powerful ingredients make this a truly unique product: phytosterol canola glycerides: bioactive ingredient that maximizes firmness and elasticity for younger looking skin; Tocopherol: a natural antioxidant to promote anti-aging and cellular renewal; Tocopherol acetate: a skin conditioning agent for photo anti-aging. Size: 0.04 oz. These statements have not been evaluated by the FDA. These products are not intended to diagnose, treat, cure, or prevent any disease.